Category Index for "Electronics Guides"
The top five in many electronics topics. Here you will find our posts that review and compare anything that has to do with electronics. This Top Five Advisor electronics section will share anything and everything we have posted in the electronics category sorted from newest to oldest. Looking for something specific in the electronics category? We’ve created the following electronics topics sections to narrow your search: Electronic Cigarettes review. Electric cigarettes or e-cigarettes are relatively quite new to us. Some might not even know about it yet but they surely know how harmful cigarette smoking can be. There are millions of people who die each year because of cigarette related diseases. And, unfortunately, many of these deadly diseases will let you suffer tremendous pain before your body would succumb to the disease. Nobody wants to die a painful death and we can’t completely avoid that but we could prevent certain types of deaths if we only choose the safer alternative to different choices in our lives. Here are the top 5 reasons why e-cigarette smoking is the better choice compared to traditional smoking. Cigarette smoking is viewed negatively by most people. Although there are millions of smokers around the world but the vast majority of people still don’t like smoking especially the smell and the harmful effects of second hand smoking. Many establishments prohibit smokers from entering and it is not categorized as discrimination because cigarette smoking can leave bad odor to the establishment, the food, and the other customers. E-cigarette smoking is a better option because you are not exhaling smoke but you’re only exhaling vapor that fades away fast. The vapor doesn’t leave any odor and no carcinogenic chemicals are spread through the e-cigarette’s vapor. Many establishments, even with the no smoking sign, allow e-cigarette smoking but do make sure you ask first as some may still not be aware about e-cigarettes. Traditional smoking is quite unsafe. You lit it with flame and it leaves behind embers. There are many fire-related deaths associated with cigarettes and in fact, in the United States, it’s the leading cause of fire-related deaths. E-cigarettes don’t require ignition. You just need to make sure your battery has power and when you inhale in the vapor you’ll already enjoy the great flavors of electronic cigarettes. There are no embers and cigarette butts left behind. 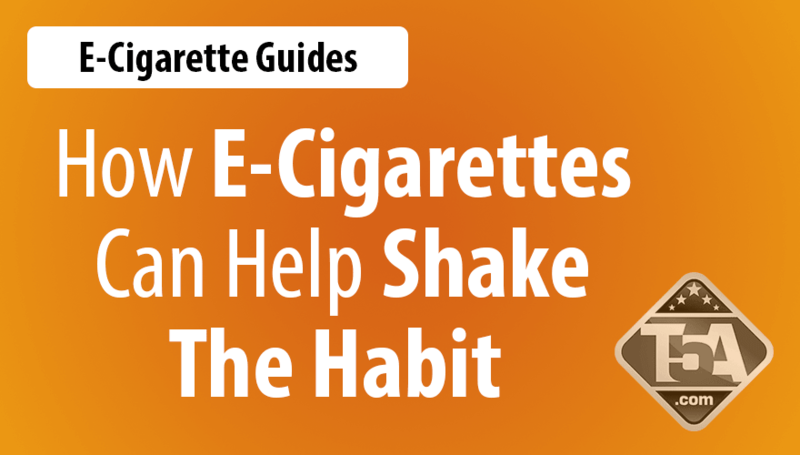 If used properly, e-cigarettes can’t cause fire as there’s no combustion required to use it. It’s one of the most annoying factor of traditional smoking. Smokers may not notice it anymore because they’re already used to the smell but non-smokers would easily point out that you’ve been smoking because of the way you smell. The smell of cigarettes lingers and sticks to your clothes and more so on your breath and fingers. Unfortunate to those around you, they’d also end up smelling like you when you smoke because the smell also sticks to their clothes. The cause of that distracting smell is not just the burning of the tobacco but also of the combustion of tar and other chemicals. It’s these chemicals that you inhale in to your lungs that are carcinogenic and will cause you a lot of health problems after some time. Electric cigarettes don’t burn tobacco, tar or other chemicals. You are simply inhaling the vapor from the cartomizers and it’s what you exhale too. It dissipates quickly and there’s no smell that sticks to your clothing, breath or fingers. The people around you won’t complain about the smell anymore. Electric cigarettes are actually cheaper. In the United States, the cost of a pack of cigarettes range around $7 to $10. If you smoke a pack a day, just imagine how much you’d be spending a month just on cigarettes? The cost of cigarettes is high because the taxes on this type of product are also very high. A couple decades ago you could get a pack for just $1 and that’s almost 1000% inflation on today’s price. Contrary to what others may say, using electric cigarettes over traditional cigarettes are actually cheaper. Sure the initial cost would be higher but you’ll see the big savings in just a short time of using it. You can get a pack of e-cigarette with cartomizers for around $50-$100 and you can use it over and over again and just need to replace the cartomizers. Eventually you’d end up spending just a few dollars each month to replace the cartomizers so you are actually making great savings when you made the switch. Aside from the price of packs of cigarettes, you also have to consider the price of getting medical attention when health problems would arise. With e-cigarettes you won’t have this type of problem. There’s no study to prove whether e-cigarettes are healthy for you but one thing is certain, traditional smoking is dangerous to your health. One option is sure to be dangerous to your health while the other option just need to have proof that it is actually healthier for you. Which one would you choose? Traditional smoking causes different kinds of diseases especially with how it damages your lungs. Diseases such as Chronic Obstructive Pulmonary Disease, heart diseases, different types of cancer such as lung cancer, mouth cancer, esophagus cancer, throat cancer and many others. Other known deadly diseases caused by traditional smoking include asthma, hypertension, stroke, emphysema and even impotence. 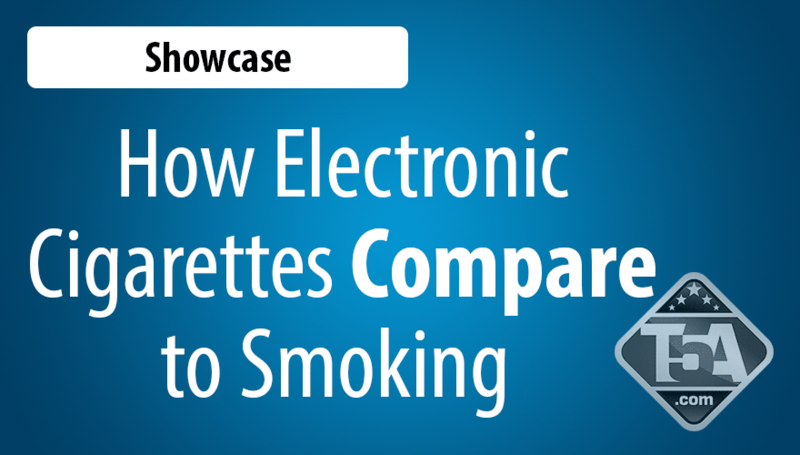 If you are to compare e-cigarettes with traditional smoking, it is evident that the better choice is e-cigarettes. Not only will it cost you less but it will spare you from the many known diseases caused by traditional smoking, won’t cause any fire and you’ll also be socially acceptable because you don’t exhale bad smelling smoke. 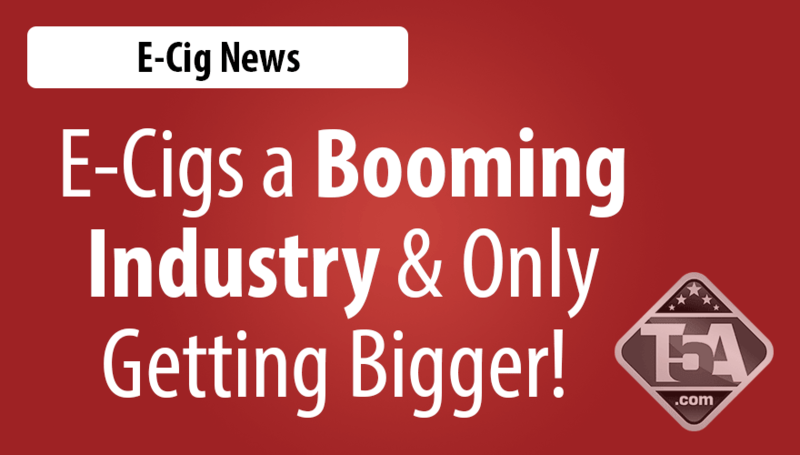 It may still be a recent addition and is still not regulated under the tobacco laws but electronic cigarettes are leaving its mark especially to people who have already tried it. It really feels like you’re smoking traditional cigarettes but with other added benefits. With it you can opt for different flavored vapors which you can’t do with traditional cigarettes. You can find one that is chocolate flavor, apple, mint, orange or also comes in the usual tobacco flavors. It can also be used to help you finally get rid of the habit of smoking and nicotine dependence by slowly reducing the strength of nicotine in the cartomizers.